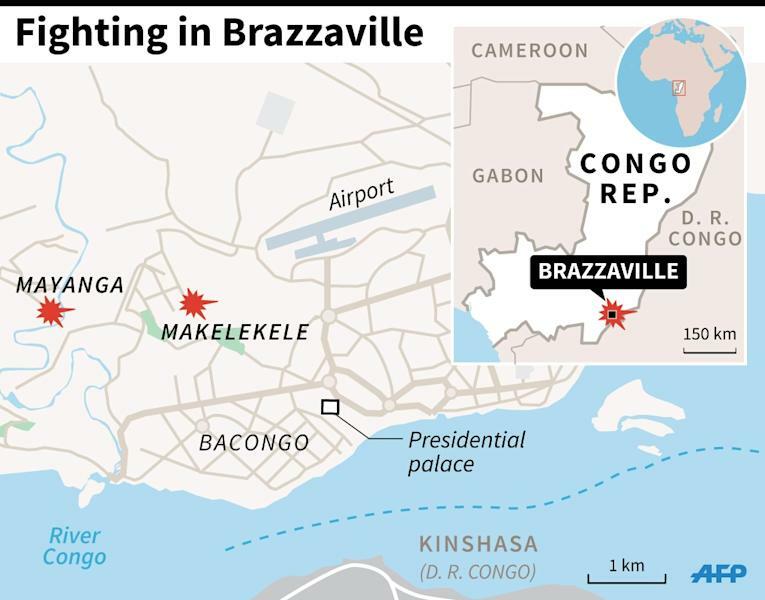 Brazzaville (AFP) - Thousands fled fighting in Congo's capital Brazzaville on Monday as the government blamed hours of heavy clashes in opposition bastions on a rebel group known as "The Ninjas". There was no official toll from what the government called "a terrorist action", as it said it was investigating whether the assailants were linked to opposition leaders contesting President Denis Sassou Nguesso's re-election last month. Late Monday, Congo's constitutional court confirmed the March 20 election victory of the former paratrooper colonel, who has ruled the country for more than 32 years despite accusations from critics of rampant corruption and nepotism. The results of the poll, in which Sassou Nguesso took more than 60 percent of the vote, had been denounced by the five defeated candidates who allege "massive fraud". Streams of people panicked by gunfire fled districts loyal to the opposition in the south of Brazzaville, carrying their bags and pushing the elderly in wheelbarrows. In a televised statement early afternoon, government spokesman Thierry Moungalla said the situation was "under control" and called on people to "remain calm and return to their usual business." He blamed the fighting on "disbanded Ninja Nsiloulou" fighters, saying they had attacked an army position as well as four police stations. The rebel group from a late 1990s conflict was headed by Protestant preacher Frederic Bintsamou, known as Pastor Ntumi, whose trademark colour is purple and who disbanded the group in return for a junior government position. He recently came out in favour of presidential candidate Guy-Brice Parfait Kolelas, who ran second to Sassou Nguesso in last month's vote. The constitutional court on Monday ruled that Kolelas' request to have the results of four regions annulled was "inadmissable as it was filed after the constitutional deadlines". "We live in a country where, whether you vote or not, peace is always under threat," said a woman in the city's restive south who gave her name as Julienne. 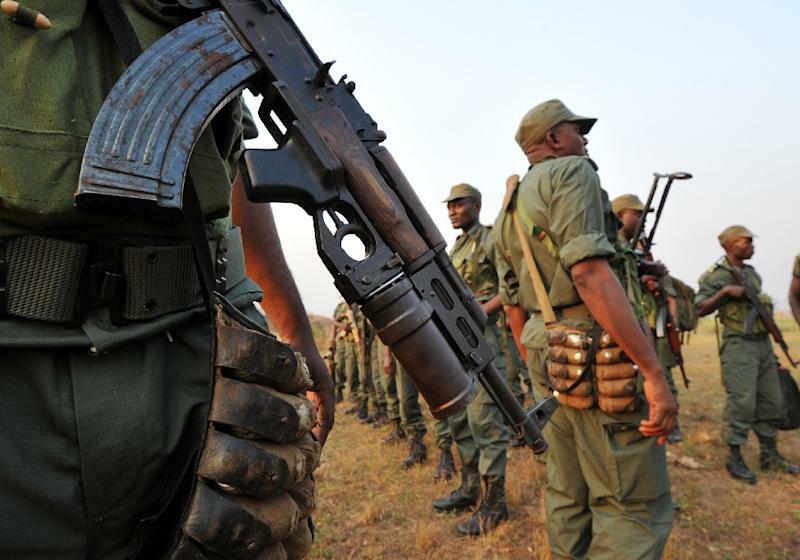 According to several witnesses, the crackle of automatic gunfire began after 2:00 am (0100 GMT) in the southern Makelekele and Mayana districts, and continued without stop until dawn. Intermittent shooting continued into the afternoon. Government spokesman Moungalla said the Makelekele town hall was torched. "Soldiers came and told us to leave before it was too late, now we don't know where to go," said 24-year-old student Mercie. As hundreds of people prepared to spend the night sheltering in churches or government buildings, streams of people continued to arrive in the city centre. "We are scared," 52-year-old carpenter Fidele told AFP. "There was no sign that we would be able to spend a quiet night in our area. I thought it was better to leave with our wives and children." Moungalla said the trouble had erupted in the wake of the March vote, which he dubbed "a great moment of peaceful democracy". In an apparent reference to the opposition, he said the government "does not yet have proof that candidates or their supporters are involved in this affair", but that it intended "to advise national and international opinion that investigations are ongoing." 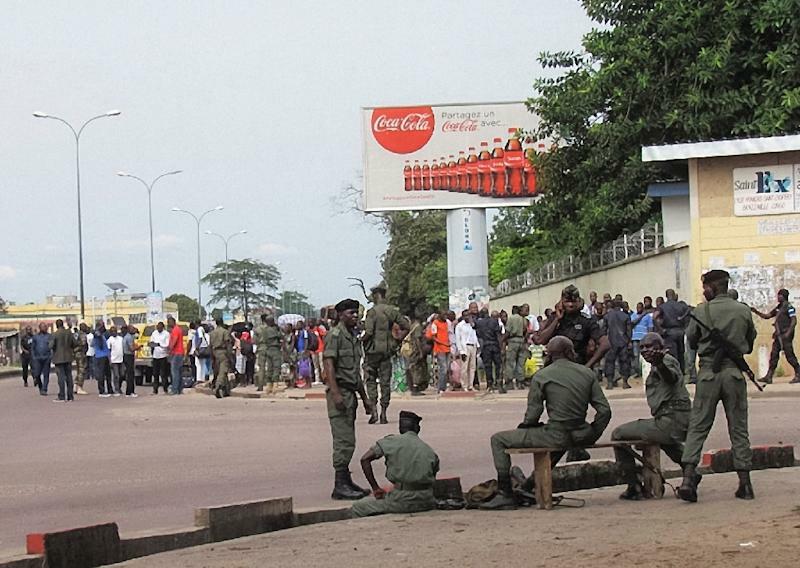 Security forces threw up roadblocks on the main road between the south and the city centre, stopping all cars for checks. "I couldn't stand the sound of the bullets and the heavy arms, I'm terrified," a 55-year-old called Jerome told AFP. Congo has been on edge since an October constitutional referendum that ended a two-term limit on presidential mandates, allowing the 72-year-old head of state to run again. Former colonial power France on Monday called for "restraint" and urged French citizens to stay at home. He won two successive terms in 2002 and 2009, but the results of both elections were contested by opposition parties.